CTSC Webmachine - providers of Web Site design, networks and I.T. support. CTSC Webmachine is in business to help your business take advantage of the Information Revolution. Experience high-speed Broadband for yourself! With up to 10x the speed of a regular modem connection you can speed up your browsing and download files in a flash! We are now able to offer a range of Broadband Internet packages for Business use at very competetive prices. We can beat most of the big names, so for the best prices on Business Broadband, please call us on 01293 434224. We have experience in using broaband connections to expand your company's network by establishing a Virtual Private Network to your remote offices. 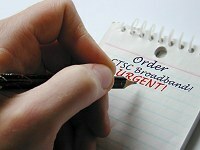 Check Broadband availability in your area: click here (BT). For those with no wired Broadband availability, we can organise the installation of satellite Broadband systems. Call us on 01293 434224, or e-mail us by clicking here.